JTBC has secured an all-star line-up for its upcoming drama “The Assistant,” including actor Lee Jung-jae and actress Shin Min-a. 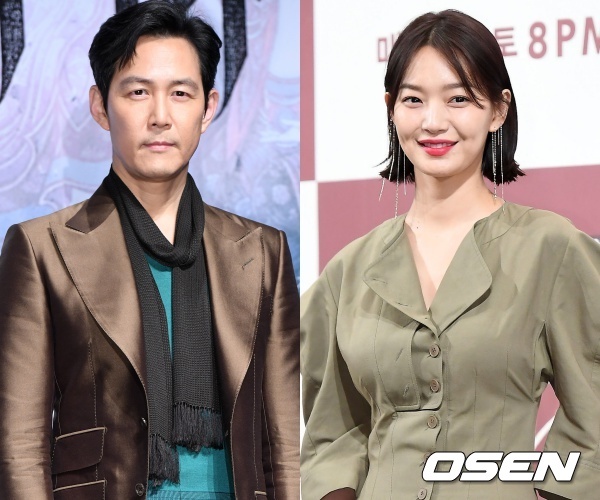 On Tuesday, a spokesperson from JTBC reported that Lee Jung-jae and Shin Min-a have decided to appear in the networks new Friday-Saturday drama “The Aide” (working title). The drama is about the dangerous games that politicians play behind closed doors and outside of the spotlight. As these influential people scrap for power and influence, the super assistant Jang Tae-joon (played by Lee Jung-jae) learns to survive and moves toward the pinnacle of power. Jang begins the series as a senior aide to a fourth-term lawmaker but started his career as a policeman and investigator. However, later on, he decided to enter the National Assembly for more power. The news that Lee will be staring in the drama is starting and exciting. It has been a decade since the lauded actor, now known more for his films roles, starred in a television series. His last drama, “Triple,” aired in 2009 and marked a departure from the silver screen for the next decade. Over that time, Lee took on roles that spanned various genres, including melodrama, action, and crime. Some of his most memorable projects include The Face Reader, Assassination, and the Along With the Gods series. According to the actor, the uniqueness of the character made him accept the role. “I’ve always had the desire to challenge a character that has never been seen before, ” said Lee in a recent interview. “The Aide,” which draws inspiration from real-life characters and events, deals with corruption, power, the law, and goodwill in a way that never been portrayed as earnestly. On the other hand, Shin Min-a’s character Kang Sun-young is a competent first-term lawmaker. With dignity and confidence, she works to break the glass ceiling and feels no shame in her ability and ambition. With the support of the public, she gradually moves upward in the hierarchy of power. Additionally, like Lee, Shin has not taken on a television role in years. Her last part was as Song Ma-rin in tVN’s 2017 show “Tomorrow With You” opposite Lee Je-hoon. Meanwhile, “The Aide” is scheduled to air after “Beautiful World” concludes sometime in late May.